My galaxy S2 tablet wouldn't start after I tried upgrading the software. When the tablet was turned on after software upgrade, the tablet was turned on, but it froze just showing SAMSUNG. I tried turning it off and turning it back on, but the same result. My little boy is so disappointed now. Please help!!! Try letting the battery run down to the point it turns itself off. Then use the charging cable to plug it into a running awake PC for at least 5 hours. Then long press the power button and report back. Thank you for your response. I will drain the battery and do as you recommended. I tried above as recommended, but the same result. 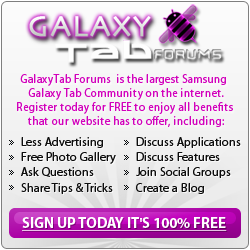 After that looping SAMSUNG logo when restarted, it just displays SAMSUNG and the tablet still does not start. Can someone please help me with the issue? It souds like you will need to do a factory reset. See this video. And we also have guides that are relevent in our Guides & FAQs section. Guides, FAQs & Tips Here.